-By Tom Block-The planter is greased and loaded with seed, the sun is out and soil conditions are fit. But, there’s a problem — a monitor in the cab is flashing an error about an incorrect setting, turning the promise of a productive day into a frustrating series of phone calls, text messages, user-manual searches and, potentially, a long wait for a service call. 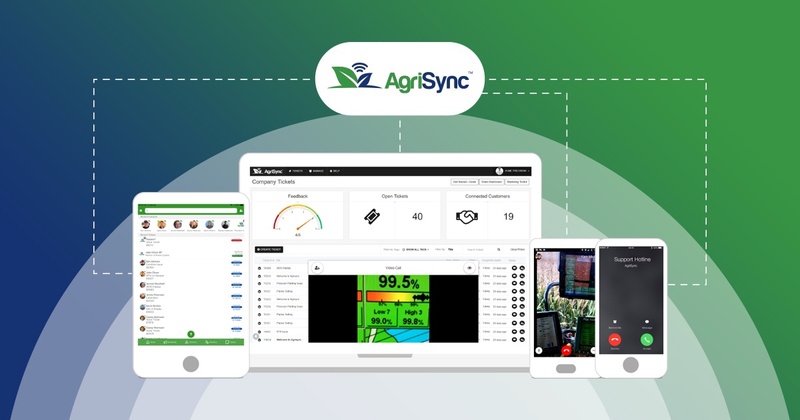 It’s a scenario that’s becoming more common as farmers are inundated with technology, says Casey Niemann, president and founder of AgriSync, a mobile application that connects farmers to advisors in a live video session to more efficiently resolve those kinds of problems.